The Brick Castle: Pia - Gemstone Jewellery Collection for Mother's Day review. 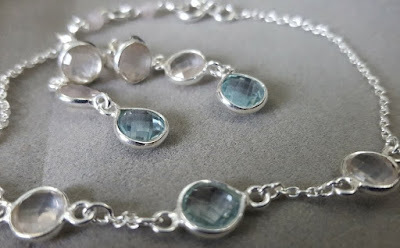 Pia - Gemstone Jewellery Collection for Mother's Day review. 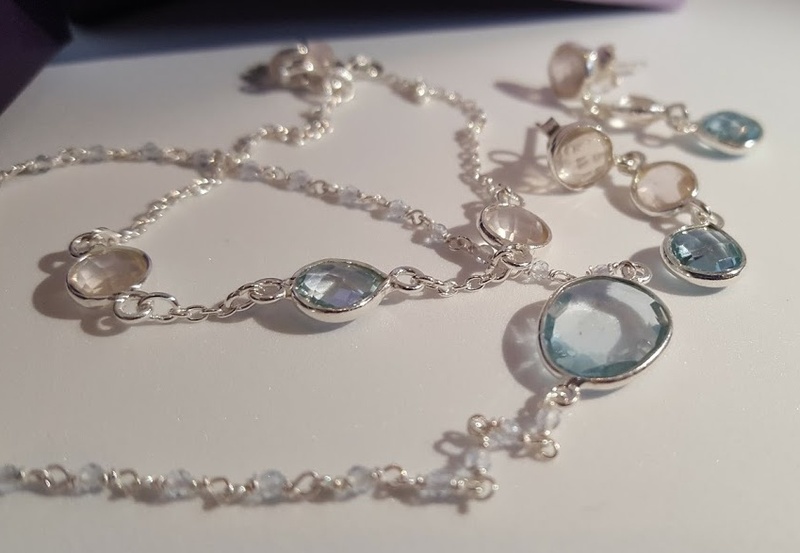 According to their website, Pia jewellery collections reflect their passion for creativity and originality, and I think they're probably right. They sell original gold and silver jewellery and accessories from all over the world, each piece intended to be a timeless classic. A gift from Pia is intended to be a treasure that will truly last. 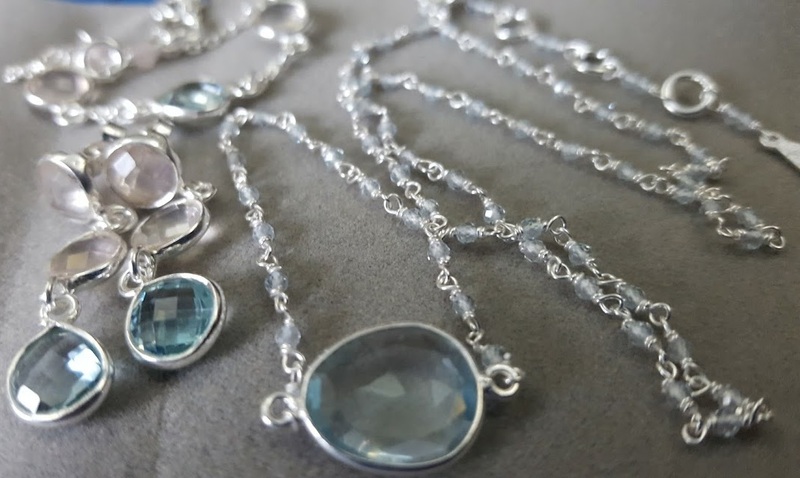 I've been sent a Blue Topaz Gemstone Collection to review. I chose this set as it's my birthstone and I really do love delicate silver jewellery. 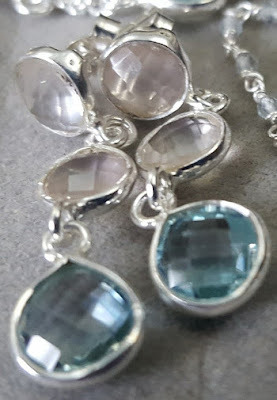 I was sent the Blue Topaz Gemstone Pendant, Three Drop Earrings and Three Rounds Bracelet. 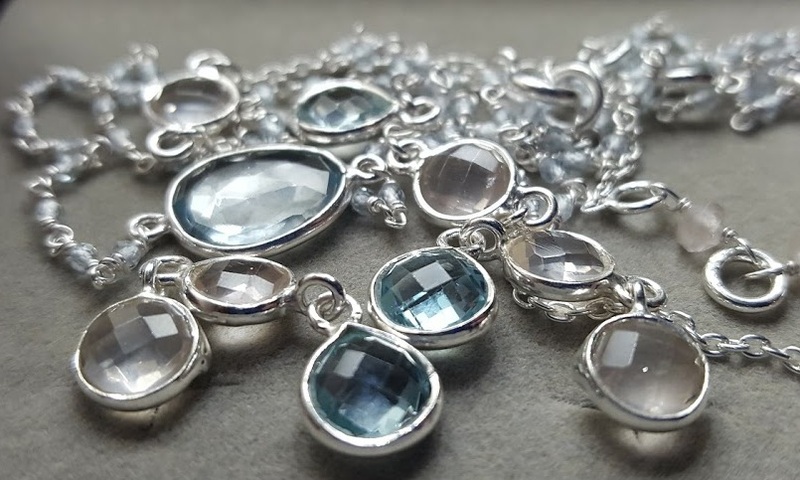 There are more than 35 other pieces on offer with blue topaz alone, so the choice across the website is very wide. The packaging is lovely. Open the box and then move aside the soft cloth covers to see your jewellery. 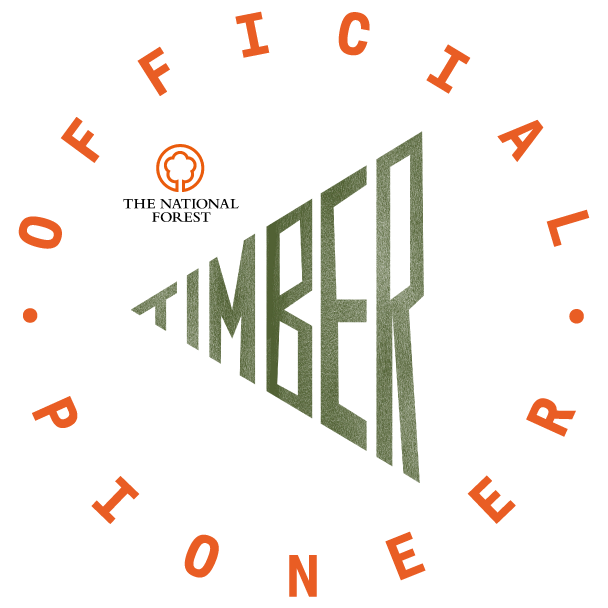 It feels very special and gives a hint to the quality of the items inside. I couldn't be happier with my collection. 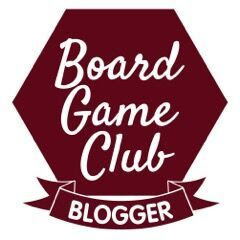 It's exactly as I expected, only with extra detail I hadn't previously noted. 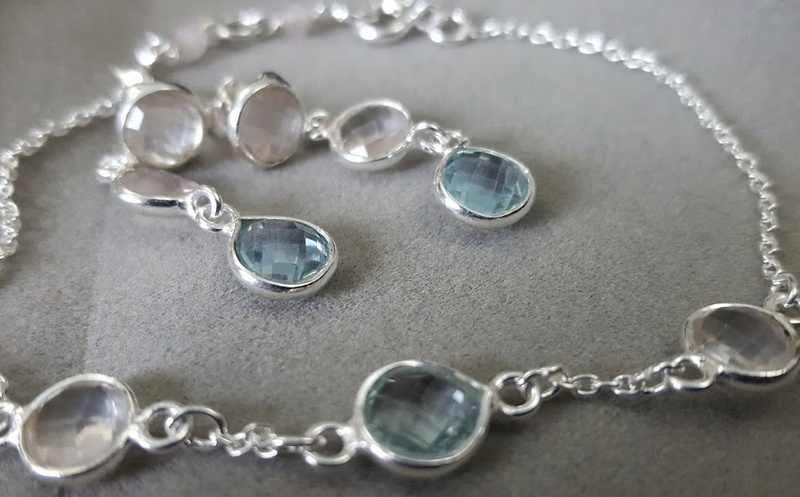 Pia work with sterling silver, gold and semi-precious stones, such as pearls, amethyst, turquoise and quartz. As well as the blue topaz, my Three Drop Earrings and Three Rounds Bracelet also feature rose quartz, with a very delicate hint of pink. 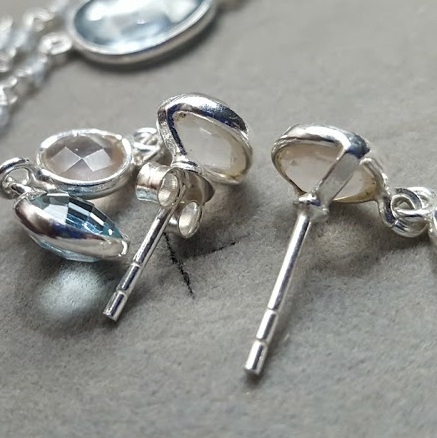 The Three Drop Earrings are around 3cm long, with two round rose quartz stones and one blue topaz in a sterling silver setting. 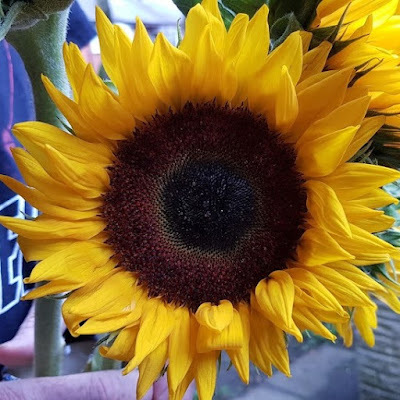 They're really well made, with a hooped back holding the stem in place and perfectly shaped curved rim. The Three Rounds Bracelet has two rose quartz rounds and one central blue topaz teardrop, on a sterling silver chain. The detail is really exceptional and the clasp and extension chain are gorgeous in their own right. At a maximum 19cm, it is a good length to fit most wrists, or to be loose, as I like mine. The Gemstone Pendant has a beautiful sterling silver chain with tiny blue topaz stones set along the length. 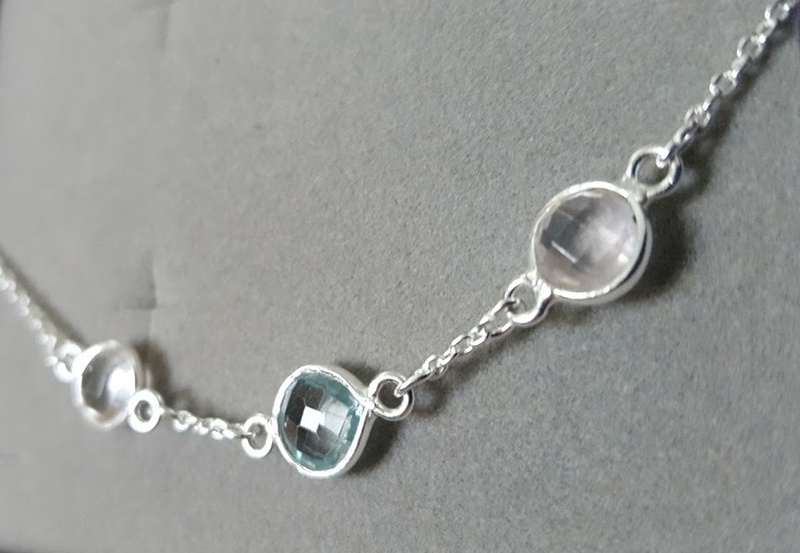 It's incredibly pretty and I almost feel the main gemstone is almost secondary to the chain. Also available in Rose Quartz, should you prefer your set in pink rather than blue. 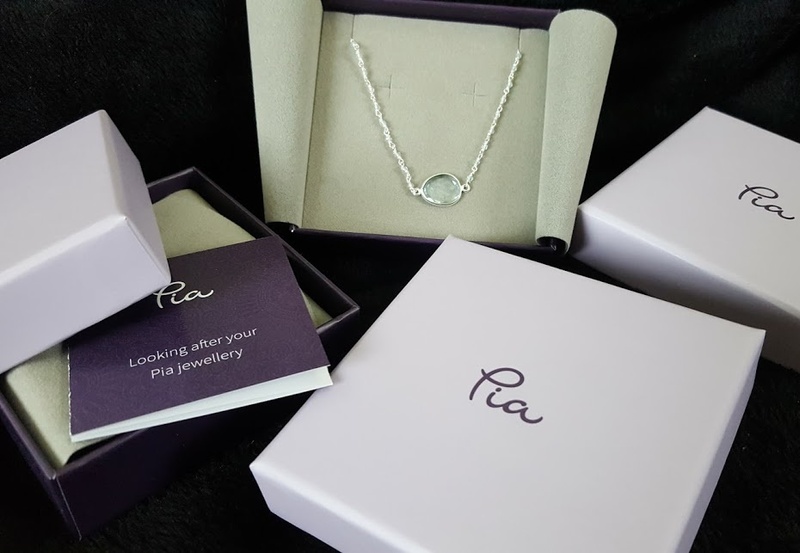 I rarely get anything to review that's solely for me, so I have really felt spoilt by Pia Jewellery. I'd have been stunned and frankly delighted to have received any of these items from my children this Mother's Day. Although I intended the earrings so that I have something to wear with my hair up, I actually think they look great with it down too. I'd prefer the necklace a little longer than the choker style length (45cm max), but I can't deny it does sit beautifully. The bracelet is my favourite piece, I'm a huge fan of silver bracelets and have worn them for a long time. 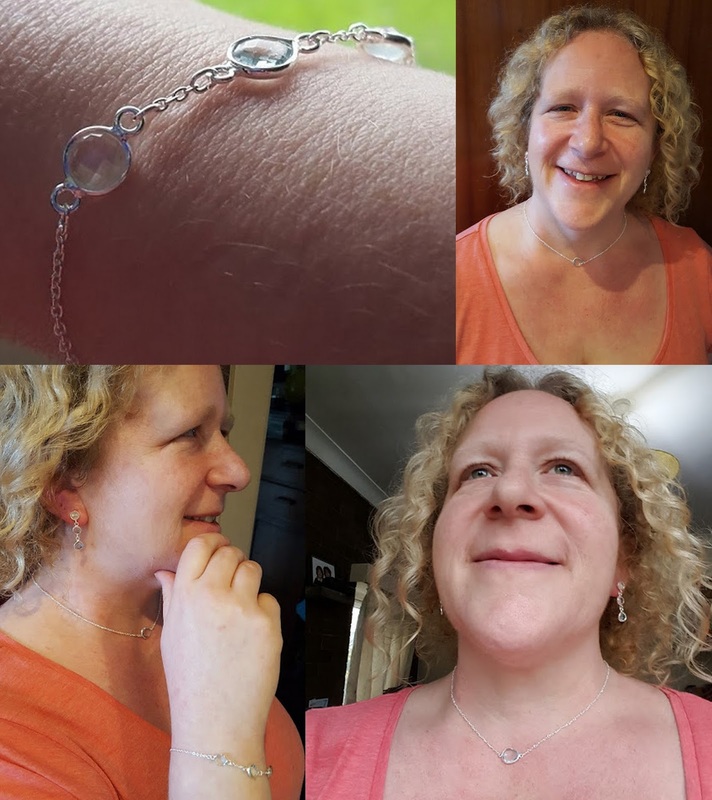 This one is gorgeous and my new 'special' piece of jewellery. 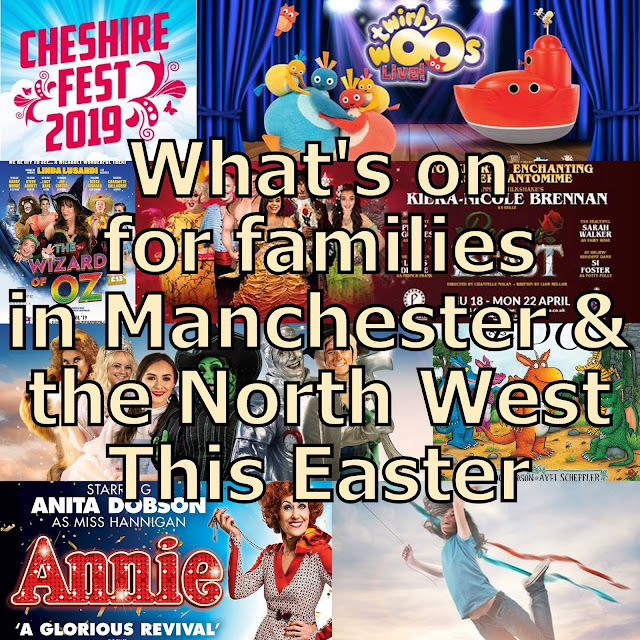 It's not too late to order for Mother's Day this year - orders placed by 12 noon on Thursday 23rd March with next day delivery (additional £4.99) will arrive in plenty of time. 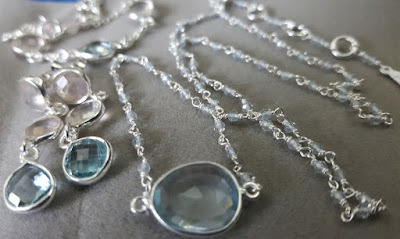 I reviewed the Blue Topaz Gemstone Pendant £69.99, the Three Drop Earrings £49.99 and the Three Rounds Bracelet £39.99. 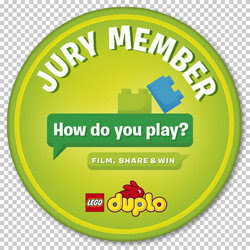 These are not inexpensive, but I feel they represent really good value for the quality work and design. 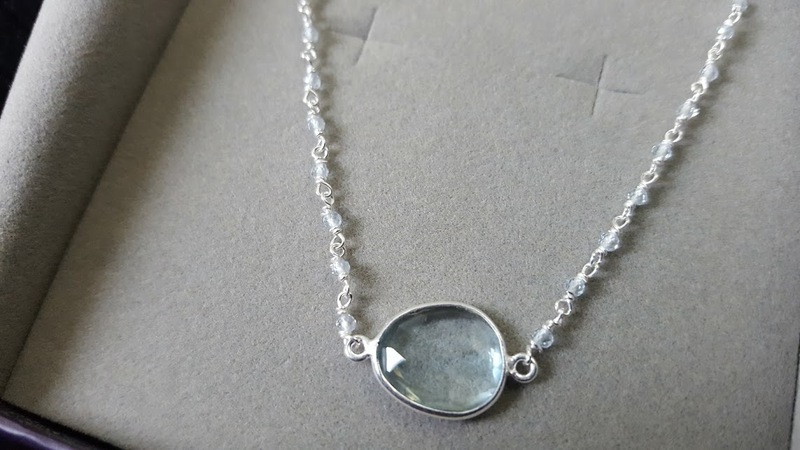 The jewellery is beautifully made, really does have style rather than fashion and will be something I can proudly hand over to my daughter in years to come. She's already tried to claim half of it! 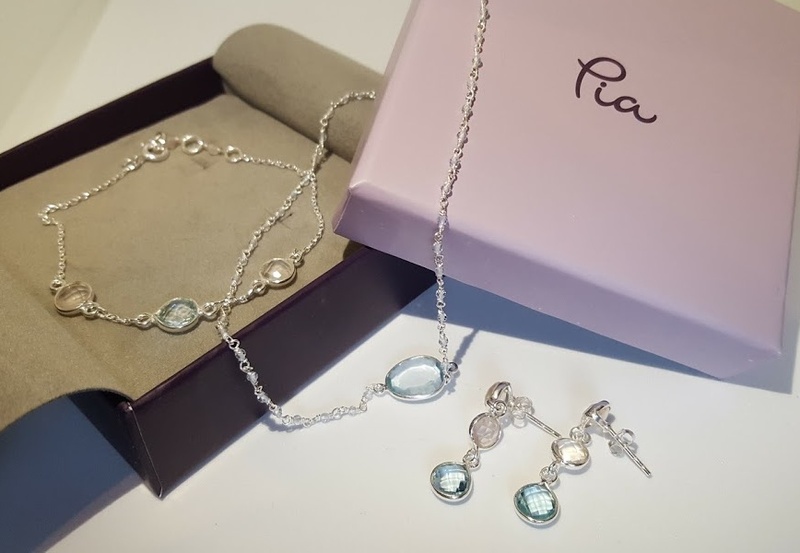 There are thousands more really lovely gift items to suit all sensible budgets on the Pia Jewellery website. I was sent my jewellery for review.